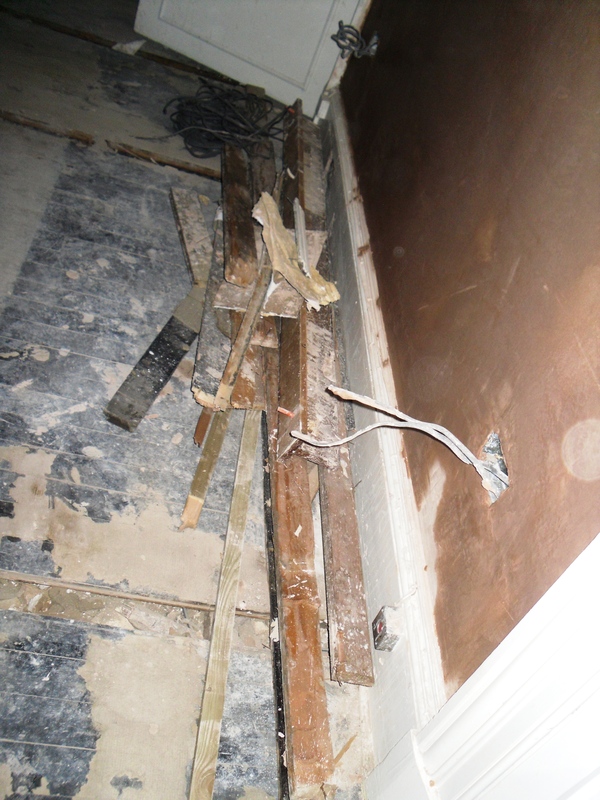 Our poor wooden floors are taking quite rough treatment. Those frequent visitors to the blog will have seen that we have had to lift up the floors to install the electric wiring and the plumbing for the heating. While our the floors weren’t in mint condition they weren’t as bad as they are now. 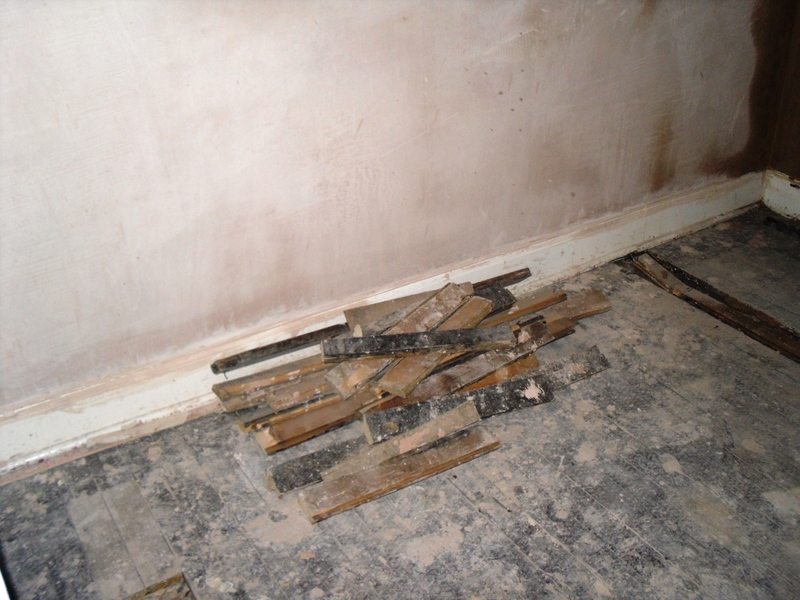 Broken bits of wood lie in piles in each room, moved so that the plasterers could work around them. 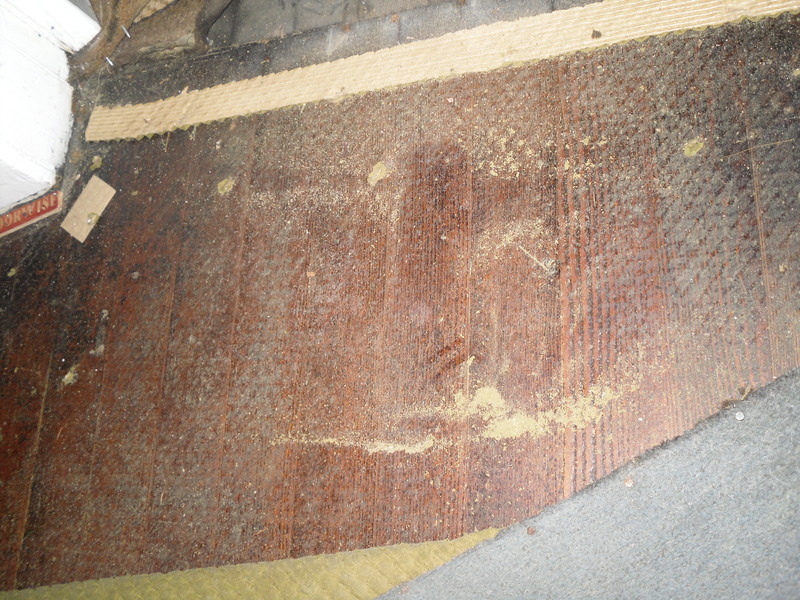 Remember what the wood looked like when we first discovered that we had original hardwood floors? It was a least possible to imagine them in good condition. Now it is a lot harder to imagine the wooden floors in good condition. Our contractors have worked hard to minimise the damage but to make cake you gotta break some eggs, or in our case to have heat and light you gotta break some floorboards. We’ll be so relived when they get back to the state below, but know that when they are sanded and stained miracles will happen. I know that the floors aren’t ever going to be as new and shiny are the wooden floors we installed in our first home as below but we do want to get them as beautiful in their own very special way. We are considering going for a darker wood stain but with over 170m2 of wooden floors it may get overpowering. 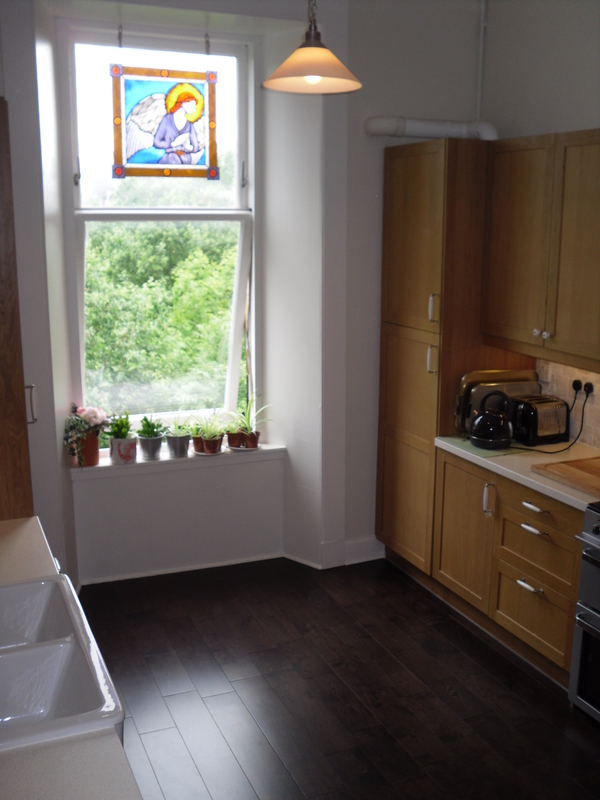 We will have dark wood floors in one room though – the kitchen again. The floors in there are not original wood as it is an extension. We will have to install new wooden floors and we happen to have 7m2 of wood left over from last year’s floor installation. We reckon we need about 15m2 in total, so if we use the leftover wood we can save a pretty penny. 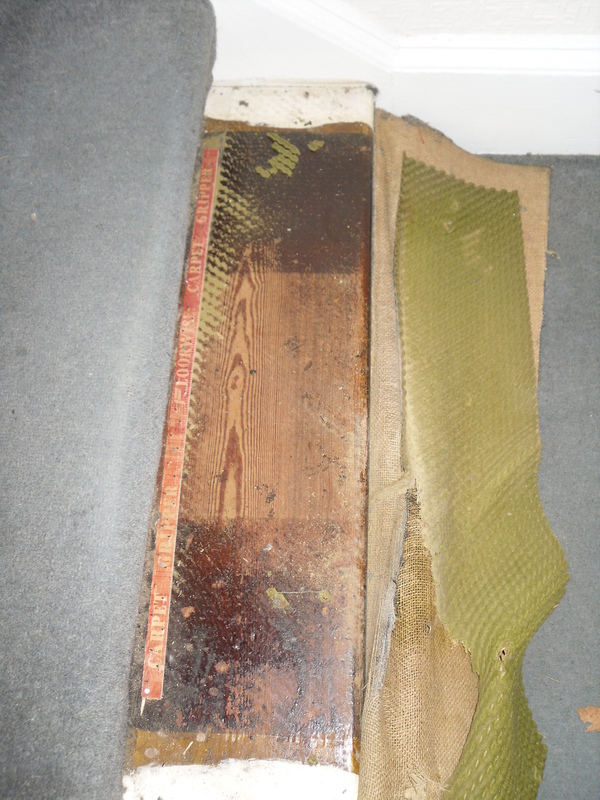 We’ll be halving our costs, and with wooden floors working out at about £35 per m2 we are saving hundreds of pounds. It seems like even though we’ll have a completely new house we’ll have a pretty similar kitchen. What wood you do? Just lay carpets? – some times it seems very tempting. We will push through in the hope that there is life in the old floor yet. Should we go for lighter coloured wooden floors or do you like dark wood? Oak or pine? Will those floors fit back together like a jigsaw? Will the floors survive or will we have to cover them up again with carpet? We love to hear your thoughts. Thanks for stopping by! Hmmmm…. I like the idea of a stain that shows the character and grain of the wood! We have laminate in our house now and every time I see photos of interesting wood floors, I’m always smitten. Someday! Here’s a link to inexpensive utility oak flooring – if you look through the reviews, there are some with photos where they’ve done an amazing job and it looks beautiful and rustic despite not being uniform. On one of the floors of this type, they’ve even done a chevron or herringbone pattern and it is STUNNING! I’ll try to find that one. Here it is – second review. These are definitely on the lighter side of staining. Beautiful wood! It really amazes me how fashions change – not long ago it was the height of luxury to carpet a home. Now it seems everyone is getting rid of carpets where they can. We currently have very dark wood but with the light at Auchenard we are thinking of staining the wood somewhat lighter. We found that with our floors. We started light and they looked yellow and unnatural and imperfections showed. We then put a top layer of a darker varnish over which worked. It is hard to decide what to do, I guess it comes down to the quality of the floor boards and the look and feel of the house.